People have been asking me, “ How is it you wrote a Musical about Clara Bow?” It’s a pretty good question. In 2010 I moved from the USA to China. I have lived in France and Spain and all over the USA, in Los Angeles, Las Vegas, New York City and Washington D.C. I was working in business aviation at that time, and there had been an economic slump in that sector. My specialty was customer service and catering. I was approached by one of the largest airline companies in China, Hainan, to interview for an important position they were creating, at Deer Jet. Deer Jet was meant to become the equivalent of NET JETS, a big Charter operation. So I flew to Beijing, interviewed for this job and I was offered it, for a huge ex-pat salary with all sorts of perks. I leapt at the opportunity. I moved over and pretty soon I was living in a Beijing Hi-rise, and learning Mandarin, and training Chinese ladies to be corporate flight attendants and ground teams to operate FBO’s, (a term for the private air Terminal from which flights depart and land). Now, that explains why I was in China. What I would like to add is that I am and always have been an Artist. I have had a fascinating career with a variety of jobs that were all meant to support my artistic endeavors. Primarily I worked as a Chef. I was fortunate to have been trained by two of the greatest American Chef’s, Alice Waters and Jeremiah Tower. For many years I worked as a restaurant Chef, but my glory days were spent as a Private Chef for many very famous people, like Sinatra, Bob Dylan, Linda Ronstadt, Nelson Riddle, and even the Trumps. Sometimes I just worked for very rich people, like Arthur Carter, who owned the New York Observer, or Peter Marino, the eccentric architect of Dior and LVMH, and Elton John, the Pop phenomenon. I did this to support my art. And for many years I was working on Broadway Musicals, like Mississippi Moon, and The Seven Year Itch. 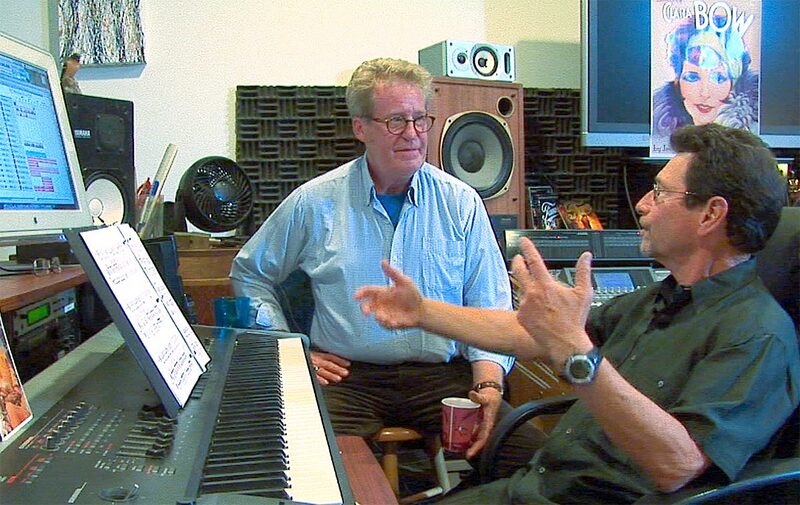 You see, I was also a songwriter, and I wrote the book for musicals. In Beijing I wasn’t writing songs much, but when one has an artistic personality, one must constantly find an outlet to release artistic energy, so I paint. And I am a very good portrait artist. In China, art supplies are abundant and cheap. That meant I could indulge myself during time off by cranking out paintings. I started a series called SILVER SCREEN. 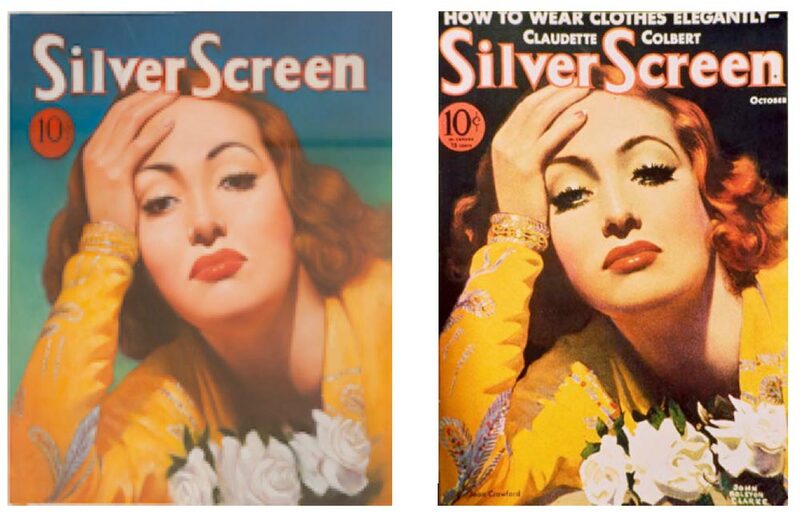 This series is a celebration of glamour as presented to the public on movie magazine covers. Specifically, the Movie Magazines of the 20’s and 30’s. The type of color processing then used was quite lush. The covers used a 16 or 20 plate printing process to achieve rich and subtle colors that leapt from the page. Stars were illustrated by the leading artists of the day in idealized images that cemented their allure in the publics mind. Always clever at capturing a likeness, I worked up a format where I eliminated much of the text and cover copy. See below for a typical Magazine cover. As you can see, I removed all the copy except the Magazine title and the price. So, in February of 2013 I found myself in Beijing during Spring Festival, with no plans to leave the city. Spring Festival is the Chinese equivalent of Mardi Gras (Fat Tuesday) and it’s a huge national holiday celebrated by over a billion people over a ten-day period, with tremendous fireworks each and every day, and lasting about 14 hours from dusk till dawn. Everything closes down so that the population of China can travel from Village to City and City to Village, in search of loved ones; good fortune and all partake in some serious drinking. This seemed like a good opportunity to start and finish a new painting. I had a small stack of my old magazine collection with me in China, but from those I was not excited enough to start the painting. So I Googled Motion Picture Classic images and lo and behold, I saw several that I really liked. 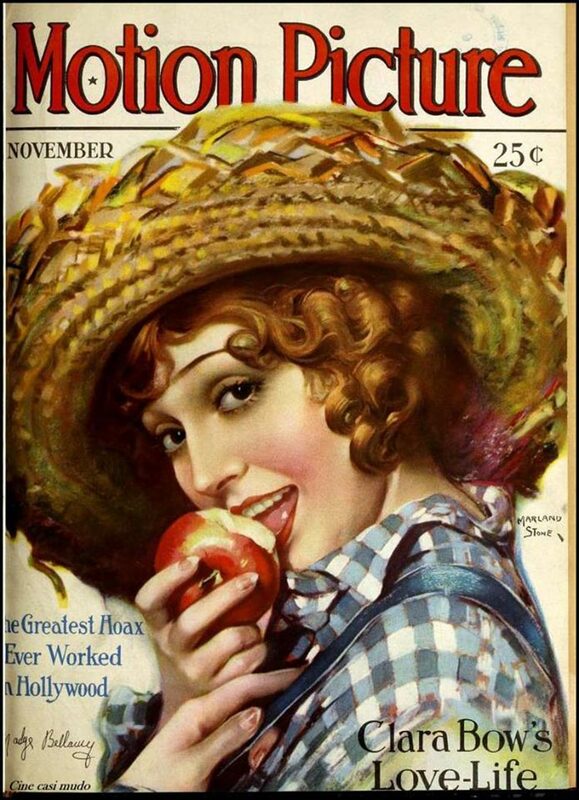 The one that kept catching my eye was Clara Bow. I’m a film buff. I knew that Clara was called the “IT “ girl. That was about all I knew. I had never seen any of her silent or talking pictures. But the image I saw was compelling and I started reading various stories about her that were available on the web. I decided that I would paint her. 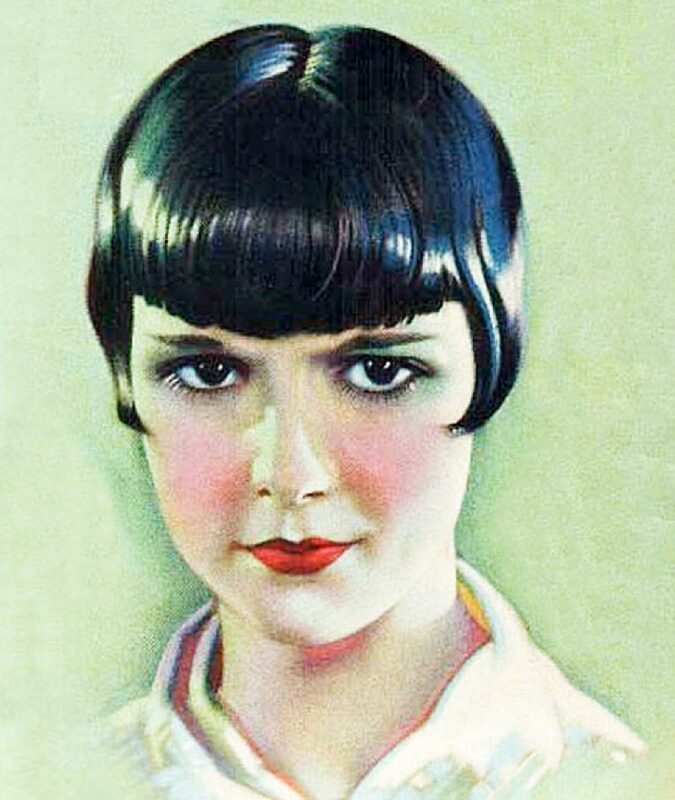 But first I made a painting of superstar LOUISE BROOKS, who was Clara’s girlfriend. And in the process of painting her and reading all about her crazy life, her trajectory from poverty in Brooklyn to winning a magazine contest, getting a screen test, and becoming a huge star in Hollywood, I realized that this woman was a Musical in the making. Now, writing a musical is a terrible thing. It is a very long process, fraught with many pitfalls and trials and tribulations. It starts with being able to digest someone’s entire life into a manageable two-act format that won’t tire an audience. There has to be drama, and joy and excitement, and hopefully a message in there along the way. You must somehow “become” the central character and tell a story that an audience can relate to and care about. The musical song needs to start when appropriate dialogue is no longer useful to the scene and end with some conclusion that propels you to the next salient moment in the story. I started writing bits down and adding them to my blog, which I was writing every Monday. After I finished the paintings I continued to do this. 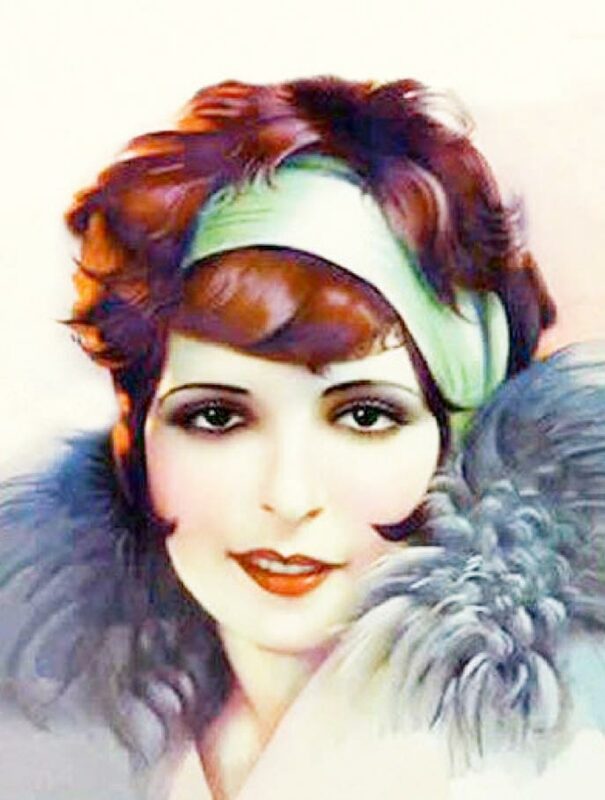 When I realized that, despite my better judgment I was going to write a new Musical about Clara Bow, I decided to contact my dear friend Barry Fasman, a talented composer with whom I had written two previous but un produced musicals, and pitch him the idea. So with 9 hours time difference between us, I called Barry in Los Angeles. Barry was adamant in his refusal to get involved in another musical. He and I had experienced a good deal of heartbreak and frustration with our previous efforts. “But, Barry”, I said “We know so much more now. We know how to do it!” Still Barry refused. I had just written the opening song lyric “ Movie Star” which is basically the “I want” song of the show. It sets out what the Hero really wants in life. Clara wanted, at age 15, to be a movie star. Her real life was unbearable, with abuse at home; poverty; a schizophrenic mother, an alcoholic father. The movies were quite new and she was of the first generation to experience that event. In the next few days I wrote more, and I sent them to Barry in emails. 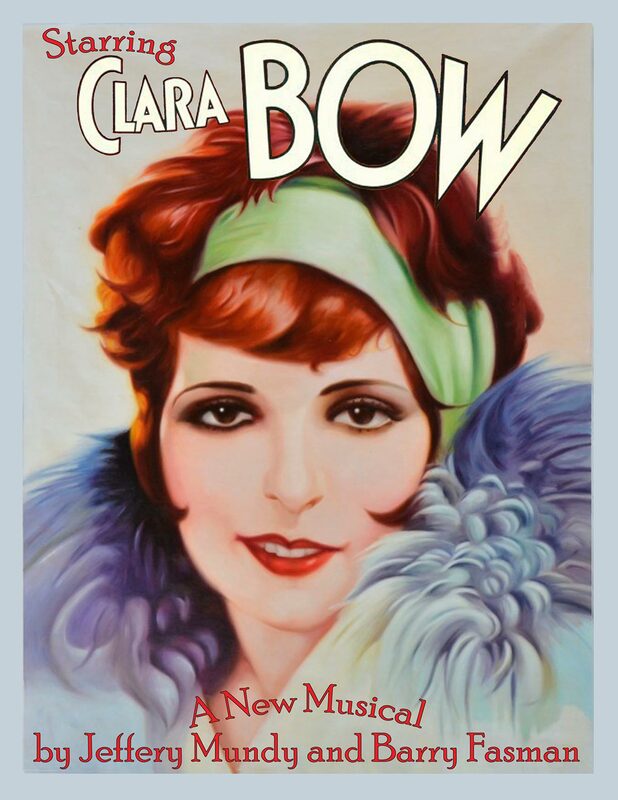 After seeing the screening Barry was convinced that this was, in fact a great premise for a musical, and we set out in April 2013 to write what has become our wonderful show “STARRING CLARA BOW”. Over the last three years we have crafted over and over, a musical with 20 + songs that tells the compelling story of Clara’s meteoric rise and her struggle with fortune and fame. She retired at age 26, and walked away from Hollywood to marry the man of her dreams. Only now have people begun to realize how magnificent she really was, how original, how alluring, and how magnetic her performances were. Few realize the price she paid for such stardom, and few understand the measure of happiness she eventually found. 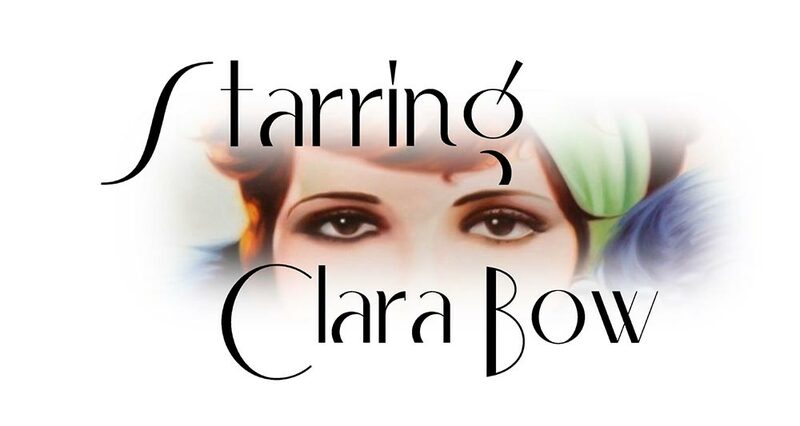 It’s all in our show, STARRING CLARA BOW. We learned from our staged readings in Los Angeles last July, just how thrilling audiences found her story to be. Yes I will help. What can I do for you? I will do anything. Think of me as your Broadway slave.